Donate Now! — Food What?! You can fuel profound transformation in a young person's life! Make a gift to "Food, What?!" Each year, 150 – 200 young people apply for 50-60 positions in our core programs. The demand for FoodWhat is significant, and in the coming political climate, the need to create safe space for all youth will be even greater. The success of FoodWhat is grounded in dedicated folks like you who believe that every young person deserves to be seen, heard, and valued; that all teens carry the strength and heart to reach their potential; and that powerful youth are absolutely necessary for building a more just, compassionate, authentic community. Your gift turns that vision into reality! A contribution of $25 allows a Spring Intern to cook farm-fresh meals each week of the program that will wow their tastebuds – from veggie fried rice and spanakopita to pumpkin bran muffins! 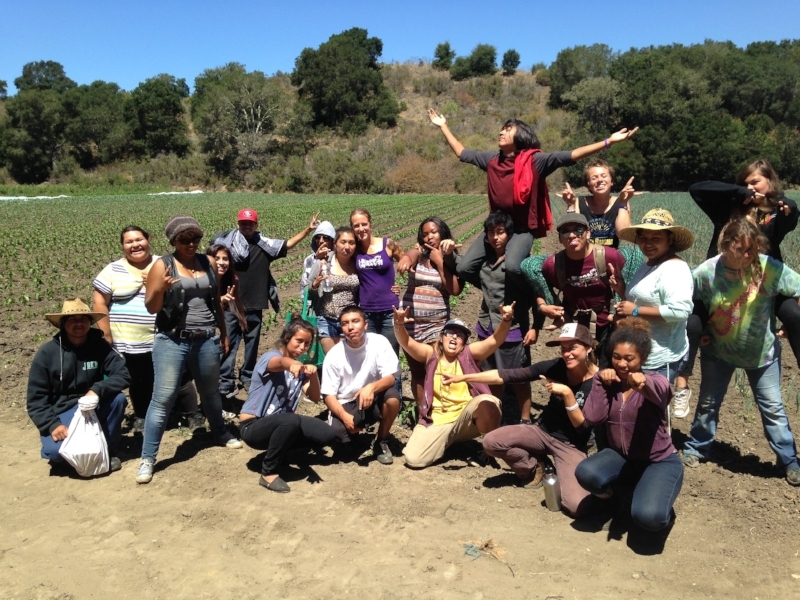 $50 introduces one of these youth to sustainable agriculture by providing the seeds, farm supplies, and land where they can dig their hands in the soil, feel connected to the natural world, and develop a relationship with where their food comes from. $100 or a $10 monthly donation provides a youth empowerment workshop to build a young person’s toolkit of knowledge, inner resiliency, and capacity to move into their lives productively: how to get and keep a job, mindfulness, effective communication, financial literacy, “eat a rainbow,” race, class, and gender in the food system, and more! $250 or a $20 monthly donation sponsors pays a teen’s salary for a week of their Summer Job, modeling their economic worth and providing supportive income as they gain transferable skills and meaningful work experience. $500 or a $45 monthly donation ensures that a FoodWhat youth receives fresh, organic, vibrant food and a basket to bring home to their family each week of the Summer!